This was from an email received recently after the stock indexes has declined on back to back days. October is my favorite month of the year. The brisk mornings take me back to growing up in the upper Midwest. Unfortunately, it seems October is the month when the verbs used by the media to describe the stock market include “plunge” and “dive”. Let’s look at this in historical context and what we learned from those turbulent times. My first experience with the craziness of October was October 19, 1987. This date is affectionately known as “Black Monday.” I was working in the trading room of an investment broker dealer and witnessed the Dow Jones Industrial Average decline by over 500 points, a 22.61% drop which remains the largest one-day percentage decline in history. Peter Jennings appeared on television with the “we are interrupting this program” statement which always meant something really bad was happening. I recall looking at the computer screen and seeing Walmart’s stock trading at historically low levels. I considered if this was the beginning of a big recession, Walmart would do well, and I should buy some shares. I also realized that given this big decline, I might not have a job in the near future. That prediction came true as the broker dealer let go 25% of their employees right before Christmas. What did I learn from this experience (other than how to file an unemployment claim)? Interestingly, the stock market actually generated positive returns for that year despite this record one day decline. The lesson of not letting media announcements and headlines that generate fear dictate investment actions has been beneficial through the years. In this walk down memory lane, let’s stop on Friday, October 10, 2008. The Dow Jones closed the week down 18%, and was 40% down from its record high in October 2007. On Saturday, it was a crisp, clear beautiful morning. I turned on the television and saw 60,000 people gathering at the Cotton Bowl for the Texas – Oklahoma football game. I went out to my patio and called a friend who was also a client. He lived on a ranch outside of Dallas. He commented about how gorgeous the day was. I told him despite the bloodbath in the financial markets that occurred the past week, it sure didn’t seem similar to the images I had seen depicting the Great Depression. He actually had the same thought and instructed me to buy some stock mutual fund shares on Monday. We didn’t know that what we bought would actually go down further and reach a low in March 2009. This experience was the most difficult in my 30 years in this profession. It was also a time we did our best work as we helped clients navigate through these treacherous events. First, we knew that no magic email would help assuage fears. We met face-to-face with clients listening to their concerns and offering our perspective. Second, we were emphatic that during these market downturns, it was not the time to sell stock positions. Yes, the value may continue to decline, but selling into weakness is never a good strategy. Third, during times of crisis, it is imperative you have investment disciplines and processes that you can trust will help clients get through the proverbial storm. We now reflect on October 2018. We had a 1600 point decline of the Dow Jones index over a 2-day period starting on October 10th. Through October 18th, different stock indexes have declined anywhere from 4% to 7% from their respective highs. Rising interest rates, trade concerns, earnings warnings, mid-term election concerns and a myriad of other reasons have been given for this recent downturn. Is it the beginning of a bear market? We don’t think so, but we don’t know. You may recall our 2018 mantra, “you can’t predict, but you can prepare.” As we enter the final months of the year, our focus will be rebalancing portfolios. For those clients who are taking distributions, we will make sure cash has been set aside for at least 12 months of planned withdrawals. This strategy insures we don’t have to sell something at the wrong time. We will look to take advantage of tax opportunities. This potentially includes realizing a loss in some positions that have declined with the idea of buying the position back (or a similar investment) at a later point (for you tax nerds out there, we want to avoid a “wash sale”). We anticipate that some mutual funds may have larger capital gain distributions this year. This may lead us to sell the position before the distribution is made and then buy back the holding at a later date. We also will explore what portfolio changes can be made to take advantage of the opportunity created by market volatility. Each of these actions are things we can control that add tangible value. 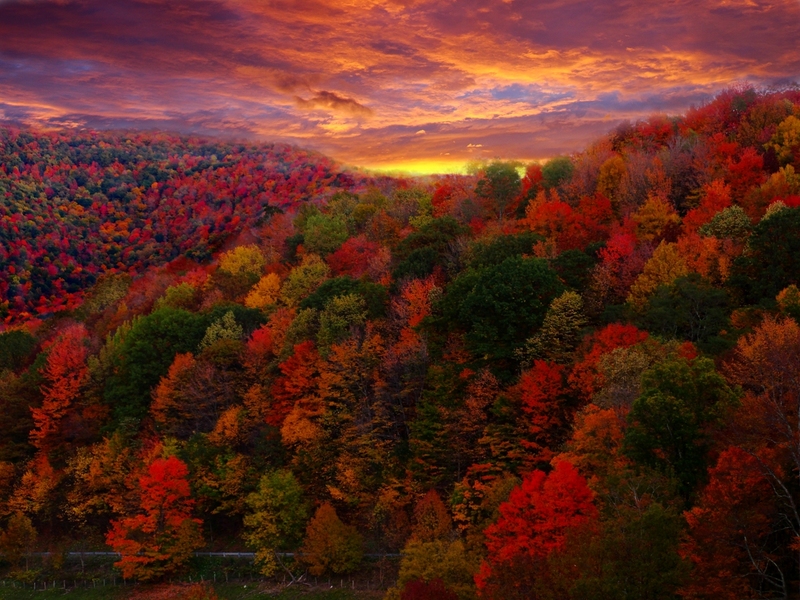 With all of this in mind, our advice would be to get outside and enjoy the beauty that is October. Let us do the “heavy lifting” as we help you on your journey to financial independence.